The general process for the treatments begins by taking a detailed case history of you, the client, together with your horse or dog and the work or play that you share together. 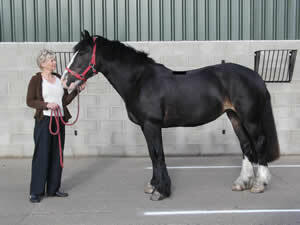 The practitioner will also take time to look at your horse or dog whilst standing and also in motion.Taking the case history for your animal’s very first treatment will normally take longer than repeat treatments. It is normal for an initial treatment to take up to 1.30 hours, whilst repeat treatments usually take approximately 1 hour. 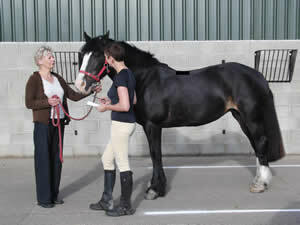 ​Gaining this overall understanding of your animals and the activities you do together are an important part of the holistic treatment process, because such detail gives insight into the factors that may be contributing to misalignment’s, muscle tension and the resulting signs of discomfort that your horse or dog may be exhibiting. The manipulation and / or massage is followed by aftercare advice, which is an integral part of the treatment process, as it is key to how well your animal accommodates the treatment that has been given over time. The aftercare normally involves a period of rest for your animal, followed by a period of time where your horse or dog is carefully brought back to his / her normal work level. The practitioner will also work with you to offer advice regarding schooling and stretching exercises to facilitate the manipulation and / massage treatment program.